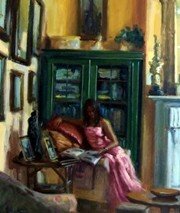 Artist Group Devoted to Representational Oil Painting. A Quiet Read. Norman Teeling. Oil Painters of Ireland is a non-profit artist group whose aim is to promote traditional oil painting to Irish art-collectors and art-lovers, through a series of painting events and exhibitions. June, Inch Beach by John Morris. Bridge at Rathwilly, Misty Evening. Each has his own distinctive style, but all are strong supporters of representational painting in Ireland. The club's founders also share two other things in common: first, a history of personal achievement as demonstrated by their successful solo and group showings; second, a loyal following among art buyers, as evidenced by the range of prestigious collections in which their works are represented. Indeed, one of their aims in establishing Oil Painters of Ireland is precisely to maintain an identifiable benchmark of excellence for national and international collectors of Irish art. 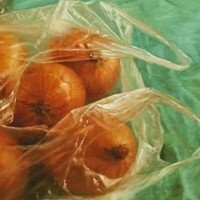 Bag of Onions. Henry McGrane. When speaking with these five individuals, each of whom has their own personal outlook on painting, one is repeatedly struck by their concern about the disappearing tradition of craftsmanship in today's art world, and their desire to try and arrest this decline. Among other things, they point to the great Irish tradition of plein-air painting, as exemplified by artists like Norman Garstin (1847-1926), Aloysius O'Kelly (1853-1941), Frank O'Meara (1853-88), John Lavery (1856-1941), Stanhope Forbes (1857-1947), Walter Osborne (1859-1903), Roderic O'Conor (1861-1940) and William John Leech (1881-1968), as well as the history of outstanding Irish portraiture produced by the likes of Sarah Purser (1848-1943), and William Orpen (1878-1931). See also: Plein-Air Painting in Ireland. Portrait of Van Morrison. David Nolan. Other favourites of theirs' include traditionalists like Sean Keating (1889-1977), as well as non-Irish masters such as the Swedish plein-air master and genre painter Anders Zorn (1860-1920) the incomparable Impressionist portraitist John Singer Sargent (1856-1925), to name but a few. In today's modern art world, one hears so much about the importance of "fresh approaches" to fine art - witness the attention paid to Tracey Emin's recent curatorship of a room at the 2008 Exhibition of the Royal Academy - and so little about the need for study and practice. How refreshing it is, therefore, to meet five artists whose dedication to their craft involves long hours of meticulous work. Membership of the Oil Painters of Ireland is open to any full time artist working in Ireland who shares the group's interest in representational oil painting, irrespective of genre. A willingness to collaborate in painting projects, group exhibitions, painting trips and so on, is also important.  For details of other painters and sculptors from Ireland, see: Irish Artists.  For information about the most valuable pictures, see Most Expensive Irish Paintings.  For more about oil painting in Ireland, see: Homepage.